Your online bookstore, live from your ONIX file! ONIXEDIT will be at the Frankfurt Book Fair 2019. Come visit us. Got an ONIX project? Contact the ONIX experts! 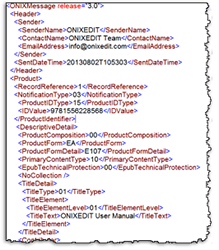 ONIXEDIT Bookstore - Put your metadata to work! With your ONIX metadata, you got it all to automate your Shopify Bookstore. Install your free ONIXEDIT Bookstore App today!
" I would like to compliment you on your excellent customer support - best I’ve experienced in a long while." 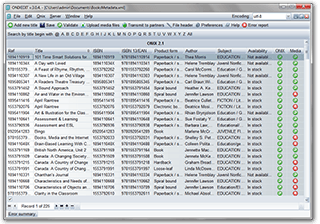 "Good, complete information that's up-to-date will make your books discoverable. Simply put, if people can't find your books, they can't buy them. 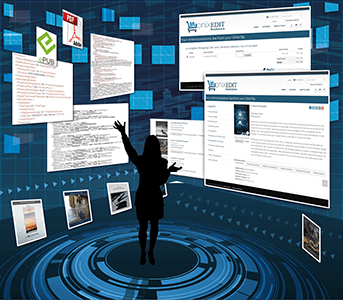 Rich information makes your books more visible, both to search engines and to readers." 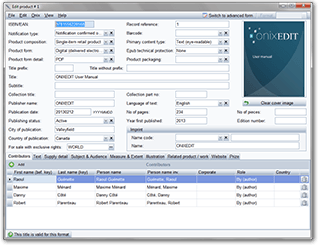 "When senders and receivers use ONIX, manual intervention in file processing is reduced, accuracy of data interpretation is enhanced, and the speed of processing is increased."